The John W. Engeman Theater at Northport is currently producing a revival of “Man of La Mancha,” an award-winning musical from 1965. The musical had its New York City premiere in 1965 at the ANTA Washington Square Theatre in Greenwich Village before moving uptown to Broadway’s Martin Beck Theatre in 1968. The show ran until 1971, winning the 1966 Tony Awards for Best Musical, Best Performance by a Leading Actor in a Musical, Best Original Score and more. It has become a classic and has been revived on Broadway four times since the original production ended. 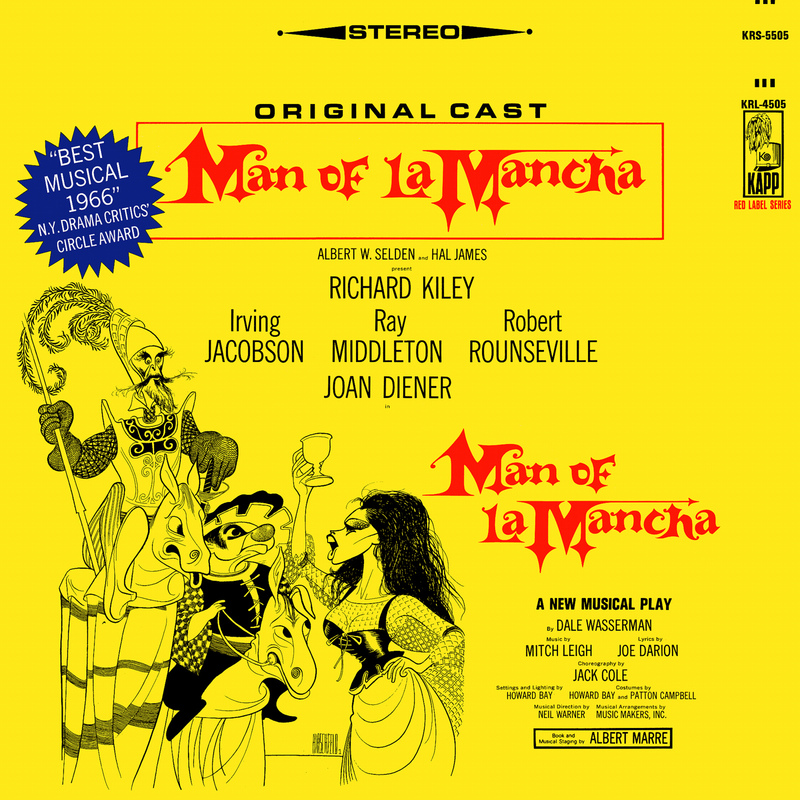 The show (book by Dale Wasserman) loosely adapts Miguel de Cervantes’ novel “The Ingenious Nobleman Sir Quixote of La Mancha,” which introduced to the world Alonso Quijano, a madman who, after reading too many books about medieval chivalry, fancies himself to be a knight named Don Quixote de la Mancha. In the show, Cervantes is imprisoned during the Spanish Inquisition for placing a bank lien on a church. In order to persuade the other prisoners not to rob him of his possessions, he acts out his novel to entertain them. Within this framing device, the show enacts a few of Quixote’s adventures from the novel, such as his infamous battle with windmills, and sets them against a lively, memorable score. The adventure that receives the most attention is the disturbance Quixote causes at an inn when he fantasizes that a prostitute named Aldonza is “Dulcinea,” the fictitious noblewoman that he serves. The vivid characters of “Man of La Mancha” are brought to life with a varying degree of success. Richard Todd Adams succeeds in capturing the fragile, chivalrous spirit of Quixote, especially with his body language. Adams’ singing, in particular, stands out, as his deep voice enables him to deliver a heartrending version of the song’s showstopper, “The Impossible Dream.” Carlos Lopez, who takes on the role of Quixote’s sidekick, Sancho Panza, delivers a very entertaining performance, as his squat stature, deadpan delivery and exaggerated movements bring to life Sancho’s bumbling, simple nature. Phyllis L. March’s rendition of Aldonza, however, fails to achieve the same level of quality as the other leads. March’s Aldonza is more akin to a foul-tempered noblewoman than the rustic prostitute that she portrays. Except for a few crude gestures in the first act, she lacks the brazen personality that her dialogue suggests, speaking with a somewhat gentle timbre and rarely scowling. Addams’ and Lopez’s performances, as well as the performances of the supporting cast, thankfully manage to overcome March’s mediocrity. The music of the show (music by Mitch Leigh, lyrics by Joe Darion) is captivating, with rich, beautiful melodies. The songs have a poignancy to them that resonates with the audience and evokes images of a romantic age that has been dead for a long time. The score is unlike any modern musical composition; like Don Quixote, rather than focusing on humanity’s worst aspects, it is idealistic and views life as it should be instead of how it actually is. The Engeman orchestra does the score justice, its passionate performance reverberating throughout the theater. One of the most interesting aspects of the show is the set design. The set is the dungeon that Cervantes is thrown into, but it is very spacious and flexible. Aside from a few platforms and the props in Cervantes’ chest, it is completely empty and without windows or doors, with only a drawbridge in the rafters and the orchestra pit itself serving as entrances and exits. As such, the “scenery” of the Quixote segments is portrayed with colored lights casting outlines on the wall. This is an ingenious creative decision that reminds the audience that Quixote’s adventures are still just Cervantes’ desperate attempts to defend himself in front of the others. The Engeman’s production of “Man of La Mancha,” despite some minor flaws, is still well worth seeing. The show will be running through Nov. 4.